The progress made as well as the next steps concerning the implementation of the EU Biodiversity Strategy to 2020 and the Nature Action Plan. While discussing the EU Regulation on Invasive Alien Species (IAS), FACE reminded all Member States to involve hunters in the implementation process. Concerning IAS, hunters are part of the solution. 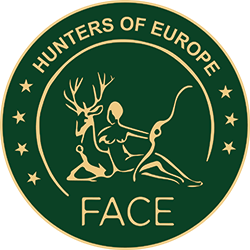 FACE took the opportunity to present the Biodiversity Manifesto that demonstrates how hunters’ contribution to biodiversity conservation. The next Multiannual Financial Framework (MFF), CAP post-2020 and the role of the Prioritised Action Frameworks (PAFs). This topic raised many reactions from the Nature Directors. FACE shared its position for the next CAP with the group, which calls for the future CAP to be more ambitious for the environment and climate. The EU Pollinators Initiative: This very first coordinated action from EU to tackle the pollinators decline was adopted the 1 June 2018 after an EU public consultation. The large number of replies and comments demonstrates the very high public interest on this issue. Member States and NGOs welcomed the initiative although they regretted the lack of connection between this initiative and the next MFF and CAP. Click here to get access to the meeting conclusions.